The Design Museum in London is the world’s leading museum devoted to contemporary design, from architecture and fashion to graphics, product and industrial design. Edited by Aric Chen. Introduction by Deyan Sudjic. 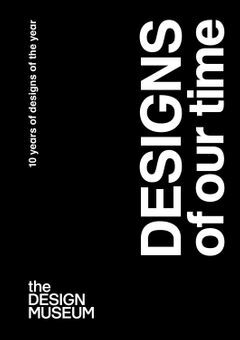 This book brings together all the nominations and winners for the Design Museum’s Designs of the Year Award over the last decade. It is a unique worldwide survey of contemporary design, reflecting a period of enormous social and technological change that began with the launch of the iPhone in 2007. 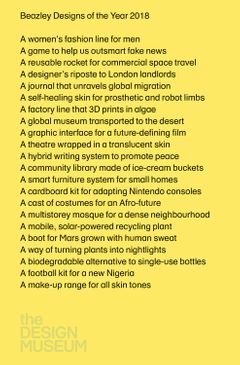 A total of 840 projects from across the world are featured, from Herzog & de Meuron’s Beijing Olympic stadium to Google’s self-driving car. 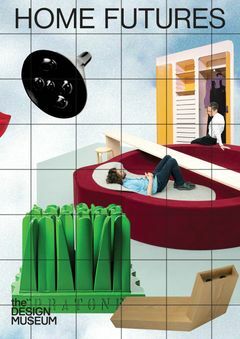 The home of the future” has long been a topic of fascination in popular culture and an intriguing prospect for designers, and the 20th century offered up countless visions of the future of domestic life, from the aspirational to the radical. Whether it was the dream of the fully mechanized home or the notion that technology might free us from the home altogether, the domestic realm was a site of endless invention and speculation.